Located in the Wild West region inside the Wild West Waterpark is where you find this indoor bumper boat adventure! Get ready – Bring mom. Bring dad. Bring the whole family! See who can bump the most, splash the most and get the other boaters the most wet! 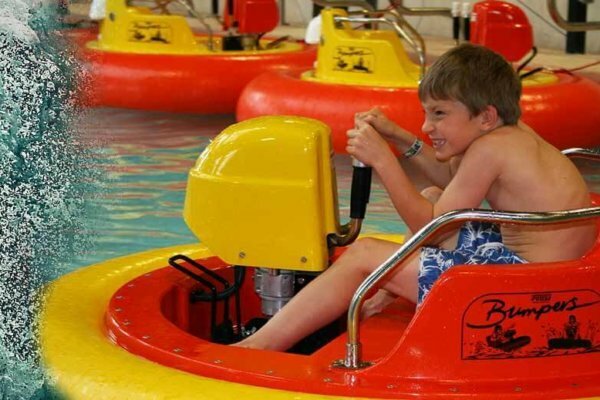 The bumper boats are located in the Wild West Indoor Waterpark. Under 48" tall may ride with parent or guardian as long as weight does not exceed 300 lbs.